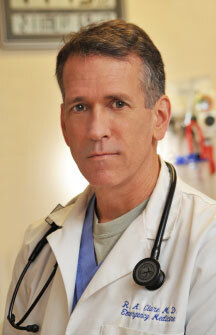 Bob’s book, ER Confidential, is a medical memoir of his journey through the front lines of emergency medicine. As a member of both the American College of Emergency Physicians and Hampton Roads Writers, his goal is to entertain, educate, and engage readers to become better consumers of emergency care. ER Confidential is his first book. Meanwhile, a previously written novel remains under wraps patiently awaiting his return for another chance at daylight. Bob lives in Virginia Beach with his wife and children who are busy attending college, applying to grad school, and playing soccer throughout the Mid-Atlantic region. A cat completes the scene by shredding any furniture previously unscathed from his children’s toddler years. Spare time is consumed with cycling, running, and especially inline speedskating where Bob has been a fixture on the outdoor racing circuit for years.